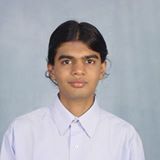 This is the official website of Vipul Naik. I have a mathematics Ph.D. and am currently working in the data science/machine learning domain. I’ve also had a number of side projects over the years. This website offers details on my various life stages as well as my current and past projects.